Having your own business is great – you work at home and in your own hours. You also set your own targets to achieve. You are simply your own boss. You do not have to be stuck in ‘rat-race’ and you do not have to put up with a demanding boss and workmates. However, working from home also means that you have to be disciplined. It is your sole responsibility to keep yourself motivated to keep on working towards achieving your goals. So, what can you do ensure that you achieve the results you want for your business while working at home? 1. Make sure that you have clearly outlined visions and goals. It is important for you to have long term and short term goals for your business. If you do not have these, then you do not have anything to guide you in your business. You must know where you want your home based online business to be in a year’s time or in two years’ time. Write down your goals, print them out and follow them. You must also set a timeframe to your goals, and make sure that you apply the necessary effort to achieve your goals within the timeframe you planned. 2. Have a daily ‘to do’ list and stick to it. This is where some discipline is required. There may be some days that you do not feel like working on your home based online business or you may have some habits that take your time. It is important for you to do something for your business everyday. This means that you must have a daily routine with specific hours that you work on your business everyday. 3. Have a positive mind set. It may be difficult to stay motivated all the time, but it is important that you maintain an optimistic mind set all the time. This will help you keep focused on your goals and will stop you from feeling discouraged or give up if/when you face a hurdle. It is also a good idea to read some motivational books that will keep you focused on your goals. 4. Be organized. This is another trait that calls for a lot of discipline. You must be focused on working on the goals for your online business. It is not a good idea to be pursuing too many business opportunities at the same time since it means you will not give your total focus to your online home business. 5. Be professional. You must maintain a professional attitude with your business. You must have business cards with your company details and URL, and your emails must have your signature with your website details. Everyone that you make contact with is a potential customer, so you must make sure that you use every opportunity you have to market your business. 6. Have fun working on your business. Having your own home based online business probably means not having a JOB which you must do even if you do not enjoy it. With an online business, you can actually choose a business that suits your interests or skills, so that means you will be able to enjoy working on your business. You must really enjoy what you do and working on your business if you really want to succeed with your business. The tips outlined above can help you achieve positive results with the time you spend on your home business. Work on your home business and achieve your financial dreams! The Internet is bursting with so many online jobs. There is a job for everyone, and surely, there is a job out there for you. If you don’t have much time to spare, you can still make extra money with some easy and effortless online jobs. If you are looking for ways to earn extra cash, there’s no need to look far. All you have to do is go online and choose from the myriad of online jobs out there. Don’t worry, because the online jobs come in different shapes and sizes. You will certainly find one that suits your financing needs and your available time. If you are just looking for some simple, effortless ways to make money, here are some online jobs that can work for you. Your time is important, so make sure not to waste it doing mundane part-time jobs that don’t pay well. Instead, spend it making quality money online by doing easy and effortless online jobs such as creating e-mail accounts, reading e-mails, and visiting websites. How much you earn depends on how fast you work. You can even earn as much from your effortless online job as you’re earning from your exacting full-time job! Don’t keep those thoughts in! Share them and get paid for your opinions. There are lots of survey sites that are willing to pay you for your thoughts. All you have to do is spend a few minutes taking surveys to make money. Some surveys will require you to evaluate websites in three sentences or less and will pay you up to $4 for each survey you take. Some surveys may take a bit longer to answer, but you will also get paid more for them. The more surveys you take and the more time you spend on this easy online job, the more you will earn! When you need some extra cash, it’s natural to try to find some money-making ways with whatever resources you have on hand. Well, if you know a lot of people, you can actually make money simply through your social network. Without any start-up capital and with minimal effort, you can earn a lot of money based on how many people you know and can convince to sign up. All you have to do is refer your friends to sites willing to pay you for every referral. You won’t have a hard time convincing friends, anyway, since once you refer them, then they will also gain access to the money-making opportunities the websites offer. If you are a blogger, you can make money effortlessly simply by offering ad space on your blog. If you think some companies or site will benefit from your reader base, invite them to display ads on your site. 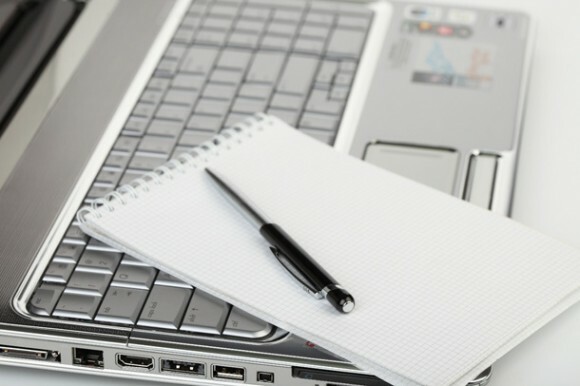 It is better to find ads that are relevant and connected to the main topic of your blog. This way, the ads will be targeted to your readers and your readers are more likely to click on them. Some affiliate programs will only pay you if a sale is generated by a link or ad on your site, but websites are willing to pay per click on their link or ad. By selling ad space, you are making money without spending and doing anything. Let your readers and visitors make money for you with each click they make on your site. 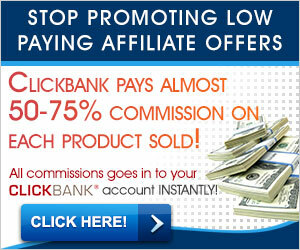 Sign up with web ads sites such as Google AdSense and BlogAds and start making easy money now! Finally, because you matter, you can actually make money by sharing your profile online. There are research companies who are willing to pay for your information. You won’t find any other online job that values you more. All you have to do is spend a few minutes answering questions about yourself and you can easily make money. Of course, you have to be careful when choosing websites or companies to work with. Make sure you sign up with those that have clauses against disclosure of your personal information or use of it for illegal purposes. Those are just some of the online jobs that are available to you. You can be sure there are plenty of other jobs on the Internet, if you just look closer. If you think you have some time to spare and you can manage the requirements of the simple, easy, and effortless online jobs above, there’s no need to wait. You can start making money immediately.